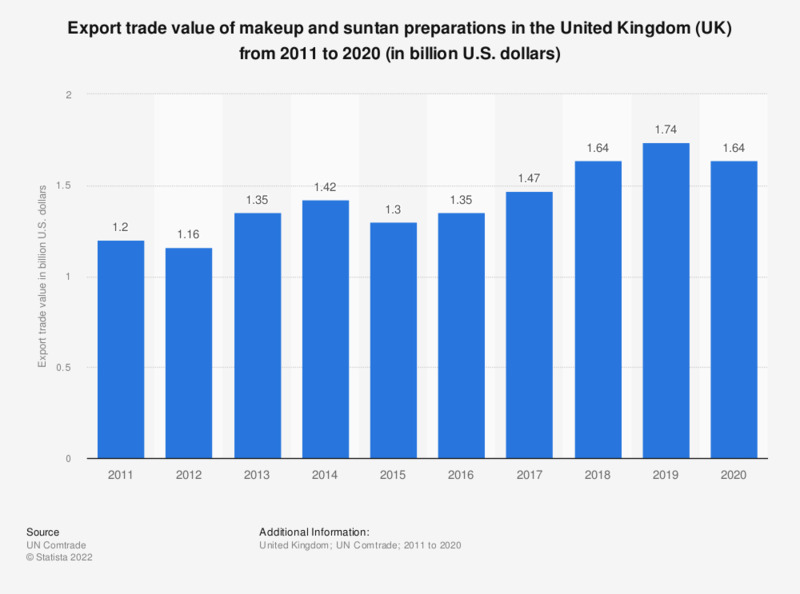 This statistic shows the export trade value of makeup and suntan preparations in the United Kingdom between 2011 and 2016. The value of skin and sun care exports peaked in the year, at 1.42 billion U.S. dollars. After reaching this peak, the export trade value slightly decreased, standing at 1.35 billion U.S. dollars in 2016. Which is your favourite brand of sun tan lotion? When do you buy sun tan lotion?